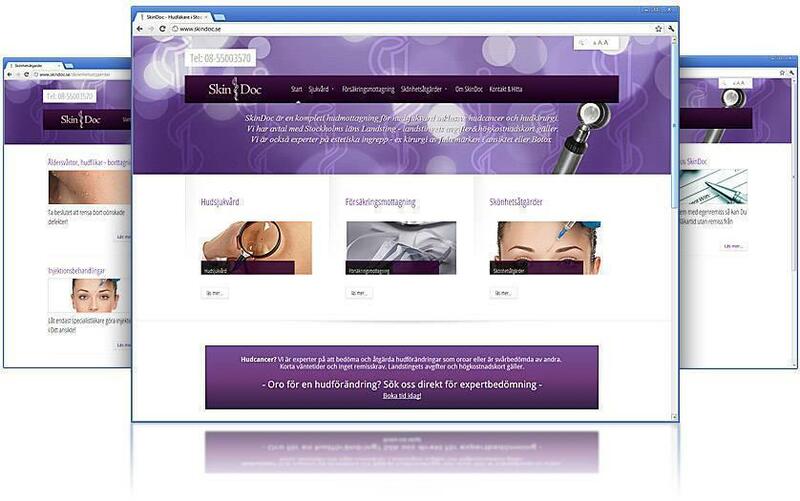 Facelift for SkinDocs new website! We helped Stockholm in Danderyd, Stockholm to upgrade their Joomla 1.5 site to a new Joomla 2.5 and installed a new template with a responsive design. Responsive design means that the website adjusts itself automatically to all possible devices such as smartphones, tablets and commonly used, larger, computer screens. SkinDoc primarily works with skin care and has extensive expertise regarding everything that has to do with the body’s largest organ – the skin. Would you like to have help with a facelift and responsive design? Contact us! With a responsive Joomla template, the website adapts automatically to all devices such as smartphones, tablets and large computer screens! We worked with SEO and ensured that security and backups are handled in a straight forward and effective way.